Times are bleak for Donald Trump: A month out from the presidential election and the Republican candidate has lost what might just be his two most important demographics: Today show viewers and the troll vote. 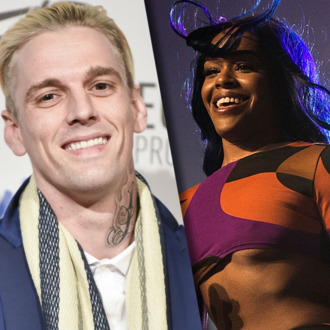 As of now, both Azealia Banks and Aaron Carter have rescinded their crucial endorsements — surely, a massive blow to the Trump campaign they never saw coming. Following Friday’s revelation that Trump has zero respect for women, Banks posted on Facebook that she no longer supports the Republican presidential nominee: “I made a major mistake endorsing toupey-toupee. Women’s rights are important and we must protect them. I tried … I reached … I even carried … I take it all back,” Banks wrote, adding that she “feels so dumb” and vows to “never mix music and politics ever again.” Oh, and also, she’s signing a record deal with RZA. Joining Banks on her continued journey into the light is Aaron Carter, who has reconfirmed that he is honestly, truly not voting for Donald Trump, no matter what the heir to Michael Jackson’s torch told you back in February. No. I'm not supporting Donald trump anymore. Make America never troll again.